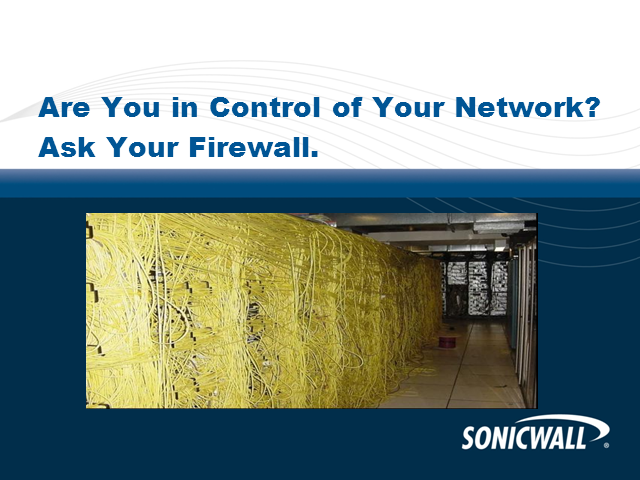 The world of network security threats has changed radically and chances are your firewall is not providing the security you need. This 40 minute webinar reveals what has changed and how you can easily make the switch to a Next-Generation firewall. Customers who have traded-up to SonicWALL will share their challenges and perspectives on making the switch from Cisco, Check Point and others. The cyber arms race does not discriminate or differentiate. If a network, identity, device or data are of value, cybercriminals will identify, target and ruthlessly attack. To promote global awareness and facilitate important dialogues, SonicWall remains steadfast in its commitment to research, analyze and share threat intelligence. Join SonicWall security experts as we share findings, intelligence, analysis and research from the 2019 SonicWall Cyber Threat Report. This exclusive session will help you improve your security preparations and posture going forward. Many organizations are adopting cloud platforms such as Office 365 or G Suite. These offer a broad range of productivity tools beyond just email, so email security point solutions alone cannot protect the entire platform from targeted attacks. The growing number of cloud services available in most organizations enable fast time-to-market for productivity and collaboration tools, but the easy availability of these capabilities can pose significant security risks for organizations. Join our product team, to learn more about how SonicWall Network Security virtual (NSv) firewall series can help strengthen the security posture of your hybrid and multi-cloud environments. Are you looking to migrate to the cloud? How confident are you that your cloud infrastructure and business applications are secure? Threat actors leverage malware to create backdoors into systems for a few key reasons. These forms of malware, even when they fail, can create serious vulnerabilities in systems. This webcast will cover the threat landscape and discuss new types of attacks. Come for the news but stay for a live hacking demonstration that will install a backdoor on an unprotected endpoint and later, an attempt on a protected one. Managing security and responding to cyber events are major operational challenges. Moreover, insufficient visibility and knowledge of these risks within your network fabric compound the problem. This makes it extremely difficult to detect unsafe network and user activities, and calibrate security policies at the speed and accuracy you need to maintain a robust security posture. Making matters worse, you are burdened with operating complex and fragmented security silos. Administrations are cumbersome and labor-intensive. Processes are uncorroborated and non-compliant. This level of technology fragmentation and operation disarray demands an integrated approach for security, management, analytics and real-time threat intelligence. Organizations are increasingly adopting cloud email services such as Gmail, included in G Suite, as part of their cloud strategy. Many organizations are also evaluating cloud-based email security solutions to close security gaps and mitigate risks that arise from the migration between on-premise and cloud email services. Accepting payment cards is a given for retailers and hospitality businesses. That means complying with the Payment Card Industry Data Security Standard (PCI). High-profile security breaches have become the norm along with laws mandating public disclosure in the event of one happening. Attackers, laws and compliance standards create a stressful environment for anyone who wants to do business with credit cards. This webcast will cover the threat landscape and discuss how attackers are trying to get the PII data that you hold. Learn how to better protect against advanced cyberattacks and customized malware from the perimeter to the endpoint. Firewall technology is one of the largest and most mature security markets, and the next generation firewall (NGFW) is a prime example of how cybersecurity controls continue to evolve in the face of a constantly changing attack surface. These network security products combine firewall capabilities with intrusion prevention system (IPS) functionality, application control, user awareness, and the capability to integrate threat intelligence feeds. NSS Labs recently announced the results of our Next Generation Firewall (NGFW) 8.0 Group Test. In this year’s test, products from 10 of the industry’s leading NGFW vendors were examined for security effectiveness, performance, and total cost of ownership (TCO). In this eighth iteration of the NGFW test, evasion testing was expanded to include resiliency against modified exploits, and the test also included secure sockets layer (SSL)/transport layer security (TLS) testing. Tune into this webinar to learn how SonicWall performed in NSS Labs' NGFW 8.0 Group Test. K12 schools and districts encounter IT issues throughout the school year. But what issues really rank highest according to those affected? Security, wireless connectivity and budgets are causing the most fits for IT administrators. IT administrator should be concerned with keeping students safe and connected, not repairing ransomware-infected devices or a network compromised to power a secret cryptocurrency mining operation. Today, Email is the most common attack vector used by cyber criminals. Join us for this special webinar with guest speaker Michael Osterman to discuss the recently published research on the current state of email threats, best practices you can implement to protect against them, and how SonicWall provides automated threat detection and protection capabilities to stop these threats. Encrypted traffic is a key battleground for today’s security-conscious organizations. But how and where to fight is not always clear or easy to execute. Join SonicWall for a “fireside chat” to gain a clear understanding of how to establish a security model that can decrypt and inspect encrypted traffic without degrading performance or damage trust. Over the past few years, hackers are increasingly choosing to utilize fileless malware as a highly effective alternative to malware attached to files. See how you can use modern technology to monitor the behavior of a system for malicious abnormalities and rollback systems to a previous uninfected state. Join SonicWall & SentinelOne experts to learn how to stay safe from advanced threats like fileless malware. 1.Learn how the threat landscape has changed in the past three years. 2.Learn what fileless malware is and how to stop it. 3.Discover the difference behavior-based security makes. Organizations are increasingly adopting Office 365 as part of the “move to the cloud” endeavor. Many organizations are also evaluating a cloud-based email security solution to close security gaps and mitigate risks from migration to the cloud. Managing certificate deployment and certificate pinning are among the top challenges when implementing deep inspection of SSL and TLS certificates on a next-generation firewall. SonicWall has been fighting the cyber-criminal industry for over 25 years, defending small, medium-size businesses and enterprises worldwide. Our combination of products and partners has enabled a real-time cyber defense solution tuned to the specific needs of more than 500,000 businesses in over 150 countries, so you can do more business with less fear.